Many people start their Betfair careers with either horse racing or football. To win with betfair football entails watching or trading the many matches that adourn our televisions these days. In fact Betfair themselves offer a live video stream on most major football matches, and It’s these types of matches that we need to focus on, In order to win with Betfair football. You’ll find that most trading and betting methods for football, require a certain amount of money to be matched before getting Involved. The reasons for this are fairly explanatory, but It’s Important that you understand the reasoning behing this. Firstly, the volume of money traded allows us to sneak a tick or two quite easily as the market remains true. Secondly, when trading, the more traders that are operating, means that prices will come back quickly after a goal. Thirdly, these higher grade matches usually meet their expected expectations. That usually means that goals will be scored. These points alone will give you a headstart In learning to Win with Betfair football. Football favours the beginning trader as most major matches happen In the evening or at the weekends, thus allowing those that work during the day access too. As we know, most horseracing Is finished by 5pm each day and although other sports are available, football seems to capture the Imagination of most. Football betting tends to be popular, as most matches, even with extra-time are done and dusted In a couple of hours, and most people can spare that, if they’re working. As discussed previously on this blog, most markets will over react when a goal is scored. Being vigilent during the match will allow you to capitalise on these temporary, value blips. In most cases, they settle down within a few minutes. In fact I use a website called “Flashscores” which alerts me when a goal Is scored in my chosen match. This allows me to do other things with your time, as I really don’t want to be chained to the computer for the full game. When a goal Is scored, simply return to the computer and trade out for a profit, depending upon your strategy. It’s as hands off as football trading gets. Again, you must realise that you cannot and will not win on every bet or trade. As a professional, we have to understand this and take It In our stride. When we make a loss, things start getting a little personal and many traders start to get emotional. If your strategy Is sound, you’ll make your loss back In time, and make headway again. I would recommend that beginners keep away from any method that gets you to recoup your losses. These generally speaking will leave the most aspiring punter In the poorhouse. Again, start small and build your bank whilst your experience grows. Many people ask me to give them a recommendation as to where to start, and to be honest, It’s difficult to advise. The reasons fall Into a number af categories really. Betting bank balance, attitude to risk, time available etc. Every reader will have a slightly differing profile. One product that I do recommend considering Is the Assured Soccer Profits system for Betfair. It’s a low risk Introduction Into successful Football trading. Take a look, It’s written by a renowned football system devisor, whom has a background In solid workable systems. His name Is John Duncan, who developed the original “Football Cash Generator“. This product brought the lay the draw strategy Into the mainstream. Assured Soccer Profits Is a less risky strategy though, and that’s why I recommend starting there. Correct score trading Is a strategy that’s becoming popular, mainly due to the large profits available when the trade goes your way. I have seen others use the correct score markets but there are some drawbacks. The first and biggest drawback Is that you have to follow the game quite closely, and plan your next move In advance, with a clear head. This strategy lends Itself to the more experienced trader, as beginners tend to panic, In most cases to their detriment. 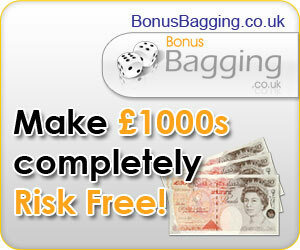 One method of correct score betting that you could try, Is dutching the correct score markets. That means backing a number of scorelines to return a fixed profit. This is fairly easy to achieve by using a dutching calculator. Again, It’s best to know a little about the teams and their performance beforehand or cheat liek I do and use a service like Goal Profits which Includes access to a cool dutching calculator. With “dutching” you’ll put the odds in your favour, and as the odds In the correct score market tend to be high pre-match, you should be able to make good profits long term. Obviously you can’t win every bet, but you’ll win more often than not. In fact whilst I’m talking about dutching, here’s anothe little strategy…. You could dutch a couple of key score lines that you think may be likely, say 1-1, 2-2, 2-1 etc before the match. As the match unfolds, and goals start to get scored, then the prices on the remaining scorelines will reduce In price, as they may be likely scores. At this point you could use the “Cash Out” feature on Betfair to lock In a greened up profit. Yes It’s a simple strategy, and with the correct application, It will make you long term profits. Complicated methods aren’t always the best If you want to win with Betfair football. One method I saw a while ago, and you need a really fast streaming service to watch the game, Is the use of time decay. All time decay means, Is that prices will shorten or drift depending upon how much time Is left remaining in the match. What would happen, Is that, let’s say the score was 2-1 to Liverpool, when the ball went out of play (throw In, corner etc) you would back Liverpool and lay them off Immediately when the ball goes back Into play. When the ball Is out of play, then a goal can’t be scored, but time decay still works In your favour. It’s usually easy to steal a few ticks by trading this method, but please be disciplined, or It will catch you out.